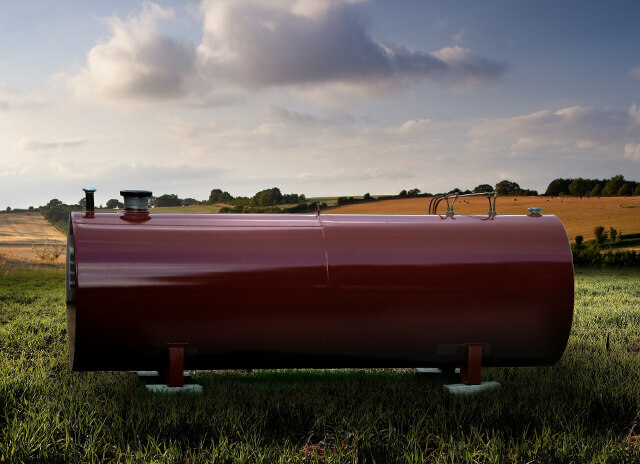 Fast, efficient and effective - our oil tank installations are amongst the best around. We're comfortable making such a bold claim because we know it's true. Our skilled, experienced, OFTEC registered technicians pride themselves on providing a tidy, professional and compliant installation every time. Whether you're just thinking about having the work done in the future or you've got an urgent need to replace a leaking tank pronto, we will happily provide you with a free-of-charge, no obligation quote. We are able to respond rapidly to leaking tanks and other such emergencies, and can often put in place a temporary solution to hold things safe until the new tank is fitted. However, because we carry a large stock of Envirostore oil tanks it’s almost certain we’ll have the model you need in stock and ready to go. We have a waste carrier's licence so that we can legally and responsibly dispose of any building waste we produce, plus we correctly notify all of our domestic installations with local building control when complete. Just like our fuel company, we hate pushy sales techniques so we’ll give you a quote (either on the day or by post or email if we need to do some additional head scratching or sourcing of parts) and then we’ll leave it with you – no lingering on site for an answer there and then and no pressure to place an order. We’re also happy to talk through any questions you might have or modifications you might want to discuss (e.g. the positioning of the oil tank). Please call us on 01262 605500 to discuss your requirements. We only install Envirostore bunded oil tanks - all of which have a 10 year manufacturer's warranty. We hope this provides great peace of mind to our customers. Tank warranties can be invalidated if an installation is not compliant. Our work is compliant so you can have full faith that our warranties will be honoured. We know oil tanks can be ugly! We take great pride in a neat, sympathetic job and will help you to find an unobtrusive location for your tank if possible. We also offer 'Fuel Station' tanks which include an electric pump plus hose and nozzle - these can be incredibly useful for farmers and commercial customers. Our technicians are appropriately qualified and OFTEC registered. We also have access to cranes and other specialist personnel/equipment for the trickiest installations. We respond rapidly to leaking tanks and emergency installations. Even when we have other work on, we can usually put a temporary solution in place to see you through. If you would like to find out more about who we are and what we do why not visit our About section. Get the latest news, product info and promotions from Purveya.